“From the early stages of the investigation of allergic diseases, attempts have been made to find a method that adequately indicates the antigenic action of the various allergens in contact with a specific human organism. The variety of tests conducted, both in terms of the means used and in their technique, is very broad, and the investigation of food sensitivities has seen, and has, periods of enthusiasm and indifference, depending on the countries and schools that test them. “… A few years ago, the Argentine researcher Salvador Pisani worked with semi-digested foods perfecting a technique that allowed him to obtain great therapeutic success and to substantiate a body of doctrine based on the importance of food sensitivities in the process of an allergic state. These fragments on scientific research related to allergies are from a paper presented by Dr. Ernesto Guevara de la Serna, a young Argentine physician, who had come from Guatemala and was at the time a resident in Mexico City, published in Volume II, No.4 (May, 1955), of the Revista Iberoamericana de Alergologia –Alergia, headed by the late Dr. Mario Salazar Mallén, an eminent Mexican physician who would soon become professor to the “Che” Guevara globally recognized today. The newspaper and periodicals library of the Medical Society of the General Hospital of Mexico, where the young Argentine doctor Ernesto Guevara worked, preserves the originals of this and other research work carried out by Che. During that time, he worked in both the General Hospital and the Institute of Cardiology, where Salazar Mallén led a research center. 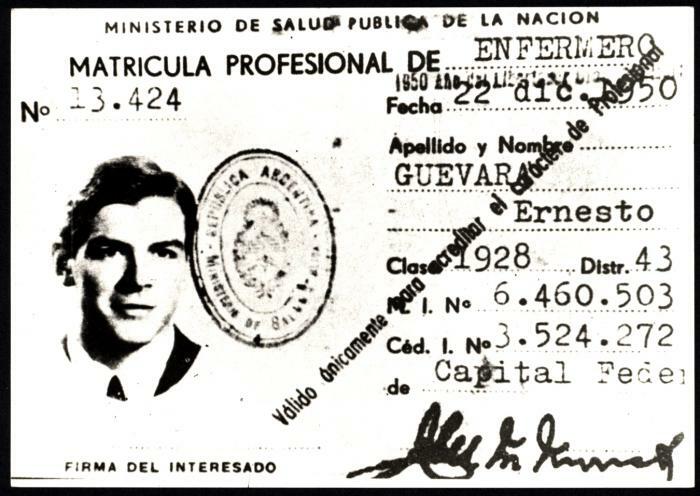 Almost all the interns or residents studying under Dr. Mallén, alongside Ernesto Guevara, were or are renowned professionals. The same was the case with other colleagues of Che in Peru, where he studied the specialty of Leprology, as part of a group of scholars led by Dr. Hugo Pesce, a leading figure in tropical medicine, and a man of advanced political thought, a Marxist theorist, and friend and compañero of José Carlos Mariátegui. 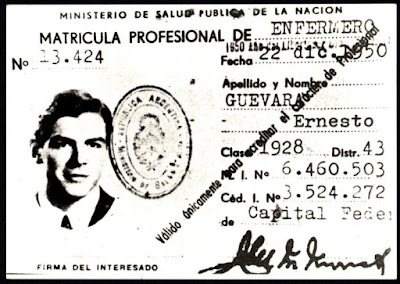 Ernesto Guevara’s medical colleagues, both in Peru and Mexico, agree that he was profoundly interested in the social function of medicine, and that he had the makings of a researcher, although politics dominated his extraordinarily analytical mind. 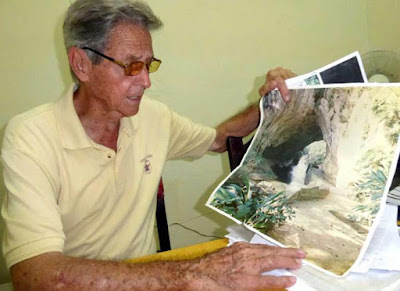 So recounted Olvido Tapia, Salazar Mallén’s widow, one of the acquaintances that we located in Mexico, when gathering information about the life of Ernesto Guevara in that city, where he joined the group commanded by Fidel. Olvido Tapia welcomed us to her home in the elegant neighborhood of Montes Urales, the same that Ernesto frequently visited, and there she showed us her garden, and the chairs where the young Argentine would sit and discuss scientific and political issues with his professor. “Professor Salazar Mallén was devoted to his profession and he wanted Ernesto Guevara to devote himself to medicine just like him, in body and soul, because he believed, with good reason, that the kid had a great talent for research. My husband told me that ultimately he was unable to persuade him, and Ernesto confirmed it when he made his farewell remark. Later, when Mario learned of the Granma landing and the vicissitudes that Fidel, Ernesto, and they all went through, he was furious, really furious that he had not been able to prevent Ernesto from leaving. He said to me, ‘You see, that kid is not going to last, remember his asthma.’ But life proved Che right, as everyone called him, and not my husband. “Then, in 1959, 1960, Che called Mario by phone to consult him about medications and allergy problems. Mario also called him and informed him of how the investigations were going in that field; they remained great friends. “Che invited him to Cuba to meet with the doctors there, he took him to visit places where he had fought as a guerrilla with Comandante Fidel Castro, and Mario brought to Mexico many photographs in which Che, his bearded helpers, his wife Aleida March appeared... But when Mario died a short time ago, I was tormented by memories and I ripped up many photos, letters and among those papers were also some related to Ernesto,” Olvido Tapia explained. “He was so fond of Ernesto that he made him accompany us on excursions, almost all related to events on his medical specialty, that were held in other states of the country. My daughter, then very little, and unfortunately also deceased, was fond of Ernesto and he of her. He would lift her up and walk long distances carrying her on his back, simply to please her in her childish interests; he was very friendly and respectful. When the professor talked to other people that Ernesto did not know, he immediately separated from the group, and if Mario did not call him, he didn’t take part in the conversation, even when he mastered the subject in question perfectly. “We even invited him as soon as he arrived to live in this house, where there was space and comfort for him, but Ernesto refused. He said that it was not right for a student to live in the same house as his professor, that the teacher needed privacy and that there were certain distances to maintain; there was no way to convince him to come live with us, he preferred to stay in a sleeping bag on an examination table, in a small examination and instruments room in the hospital, until he had his own apartment. The quest to find Ernesto Guevara’s compañeros from the General Hospital and the Institute of Cardiology advanced following our encounter with Olvido Tapia; in her house we met David Mitrani, another of Salazar Mallén’s students, and one of Che’s closest friends. “Do you remember, David, how Ernesto always carried my daughter Maria Eugenia astride ..?” Olvido asked Mitrani in a room of the house full of beautiful works of universal art, and other original pieces of Mexican cultural heritage. Dr. Mitrani’s testimony flowed and it was as if he were reliving those youthful years. The doctor made a leap forward in time and told us of his encounter with Ernesto when he was Comandante Guevara; they ate together in the offices of the National Bank of Cuba, which Che headed. “The day after Ernesto met Fidel, he came to see me at the hospital, very excited, really enthusiastic, and told me that he had met Fidel, a very agreeable and very intelligent person. Later, I met some Cubans whom I attended as a doctor in the hospital, at the express request of Ernesto. When he was taken prisoner he sent for me, he called me to ask for adrenaline; I personally took some vials to him, and the funny thing is that I arrived to the jail, and the first thing I find is Ernesto, Che, playing chess with one of the officers, with one of his jailers. David Mitrani and Olvido Tapia provided us with the location of Dr. León Bessudo, one of the most renowned mountain climbing enthusiasts in Mexico, particularly fond of climbing the Popocatépetl volcano in the Sierra Nevada range, in Puebla, about 60 kilometers from Mexico City, which rises to 5,450 meters. We met with Dr. Leon Bessudo in his office, in his own clinical laboratory in Colonia Roma. Dr. Bessudo was one of the young doctors who had once enjoyed drinking maté in Salazar Mallén’s laboratory. He was a personal friend of David Mitrani and also of Mallén. He had ascended Popo for the first time when he was 16 years old. In 1955, Mitrani asked him, as a personal favor, to take Ernesto to the crater of Popocatépetl, where he wanted to place a flag he had brought from his country, along with the other national flags that were traditionally placed there on Flag Day, around October 12. “I acceded to Dr. Mitrani’s request; I had met Guevara in the lab, but I asked my friend if Ernesto had the right training, because the effort is tremendous. I did not know whether he had that training or not, but he did have the necessary strength and will, to the extent that I did not know at that time that Dr. Guevara suffered from chronic asthma,” Bessudo noted. On the characteristics of Popocatépetl and the excursion that day, Bessudo told us that Popo has a very curious and varied climate; if the wind blows, it freezes to the bone; and if it doesn’t blow at all, you have to take off your special clothes, even though you’re in the snow. This is due to the altitude and the intensity of the sun. In these conditions, the site can become very hot. That day, he said, it was cloudy, but there was not much wind blowing, so one could ascend more easily. However, at one point it got very cold and some of the members of the group’s feet froze and they had to be taken to the hospital. The long awaited news has arrived: shortly after 3pm on September 27, and after more than two weeks of intense repair works, the Antonio Guiteras Thermoelectric Plant was reconnected to the national electricity grid. Of course, the news was welcomed by workers and directors of the plant who have been working round the clock to get the facility back up and running following damage caused by Hurricane Irma. We are very, very happy, we have fulfilled the heroic task we were assigned, stated Alejandro Ventosa, a founding member of the plant's workforce and decorated Labor Hero of the Republic of Cuba. Meanwhile, Rubén Campos Olmo, director general of the facility praised the work of all who made this first phase of recovery efforts possible, with repairs completed to generator no. two, supplying 200 megawatts. He also went on to note that the other generator should be fixed in about six days, which should see the power supply to citizens stabilize. Everyone hopes that this stage will be as successful as the previous one, he noted. In this regard, Campos Olmo stated that workers are currently cleaning all of the pipelines, channels and other spaces filled with debris, 14,000 cubic meters of which has been removed thus far. He also highlighted the importance of fitting temporary coverings to protect generators and other equipment from seawater damage. Opened in March 1988, the Antonio Guiteras is one of the country’s main and most consistent suppliers of power to the national grid. 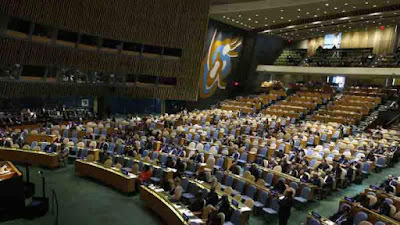 THE UNITED NATIONS.- Although the world is currently facing many challenges - climate change, earthquakes, hurricanes, pandemics, and the threat of nuclear war - rejection of the United States economic, commercial and financial blockade imposed on Cuba was heard loud and clear in the high level segment of the UN General Assembly, which concluded September 25. Several countries expressed their support for Cuba during the plenary session. For example, Jorge Arreaza, Foreign Minister of Venezuela – one of the nations that has been most affected by the United States’ interventionist foreign policy – described as unilateral and illegal the economic measures imposed by Washington on his country and nations like Cuba, which has suffered under the blockade for over 50 years. During the same session, Uruguayan Foreign Minister, Rodolfo Nin Novoa; Antonio Gumande, Mozambique’s permanent representative to the UN; Gaspar Ismael Martins, Angolan Ambassador to the UN; Deputy Foreign Minister of Nicaragua and the country’s permanent representative to the UN, María Rubiales; as well as Timor-Leste’s permanent representative, María Helena Pires, all called for an end to the blockade. Vietnam’s Foreign Minister, Pham Binh Minh, stated that the unilateral policy against Cuba is inappropriate and called for its immediate lifting. Likewise, Wilfred Elrington, minister of Foreign Relations of Belize, noted that for over half a century the Cuban people have been the victims of an unjust, flagrant, and illegal unilateral embargo. Foreign Minister of the Lao People’s Democratic Republic, Saleumxay Kommasith, described the reestablishment of diplomatic relations between Cuba and the United States as positive, going on to express the country’s hope that such efforts will intensify and soon lead to the lifting of the blockade, which will not only provide real benefits for both peoples but also the world in general. President of the Democratic Republic of Sao Tomé and Príncipe, Evaristo do Espirito Santo Carvalho, expressed his nations desire to renew the call for the normalization of relations between Cuba and the United States, as well as the lifting of the blockade, which has inhibited the island’s development for decades. Prime Minister of Dominica, Roosevelt Skerrit, one of the Caribbean islands devastated by recent hurricanes, expressed his solidarity with Cuba and other countries of the region affected by this natural phenomenon. Other leaders, including Prak Sokhonn, Cambodian Minister of Foreign Relations and Maxine Pamela Ometa McClean, Foreign Minister of Barbados, also expressed their support for Cuba at the UN. Ibrahim Yacoubou, Niger’s Foreign Minister; Augustine Phillip Mahiga, Minister of Foreign Relations of the United Republic of Tanzania; and Mark Anthony Brantley, Saint Kitts and Nevis’ Foreign Minister, called for an end to the blockade during the plenary session. Some 20 heads of state or government and foreign ministers also called for the lifting of the U.S. blockade of Cuba, prior to the high level segment. For example, Foreign ministers of the Bahamas, Darren Henfield; Laos, Saleumxay Kommasith; the Democratic People’s Republic of Korea, Ri Yong Ho; Surinam, Yidiz Pollack-Beigle; Grenada, Elvin Nimrod; and Jamaica, Kamina Johnson-Smith, all called on the U.S. to put an end to its inhumane policy; as did ministers of Foreign Affairs of Saint Kitts and Nevis, Mark Anthony Brantley; Chad, Hissein Brahim Taha; Tanzania, Augustine Philip Mahiga; Niger, Ibrahim Yacoubou; Trinidad and Tobago, Dennis Moses; and Burundi, Alain Aimé Nyamitwe. Meanwhile, Pollack-Beigle, speaking before the forum, recalled that the entire world rejects the sanctions imposed on Cuba by 11 successive U.S. administrations. During his speech Brantley defended the Cuban people’s right to live in dignity and peace, while Moses warned that the U.S. blockade constitutes a threat to the island’s sustainable development. For his part, Taha described the over 50 year-long blockade as unjust and counterproductive, especially given the reestablishment of bilateral relations between Havana and Washington. The history of brotherhood shared by the people of Cuba and Venezuela has deep roots. Standing before a statue of Simón Bolívar in Caracas, in the 19th century, José Martí asked how he could serve Venezuela. In the wake of Hurricane Irma, as on other occasions, the Bolivarian Republic was the first country to offer Cuba solidarity and help. Upon receiving a donation from this sister country, in the name of the Cuban people, on September 22, Army General Raúl Castro Ruz stated, “This gesture by the revolutionary government of Venezuela, headed by its constitutional President Nicolás Maduro, demonstrates the validity of the words of Marti and the teachings of Bolívar”. 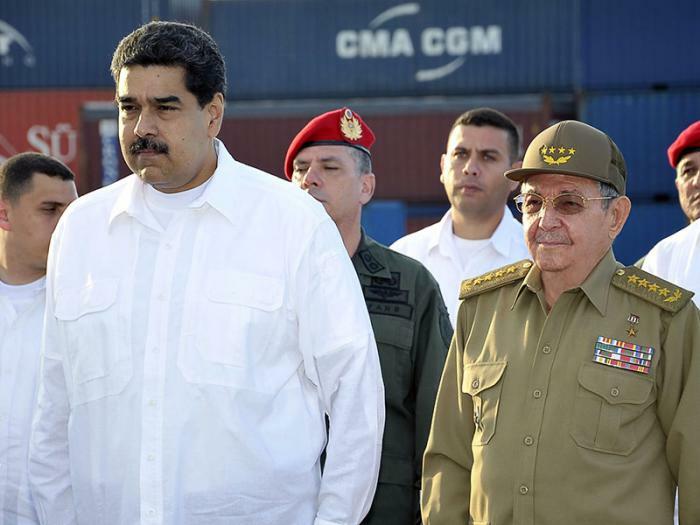 During a brief ceremony held in the Mariel Container Terminal, the President of Cuba's Councils of State and Ministers emphasized that steps taken by revolutionary governments existent on the continent show that the thought of Bolívar and Martí can be implemented, when the people play a leading role. Sooner or later, he said, "In the end, we have but one option: victory. And we will triumph," while also expressing gratitude for the donation from a country with which Cuba has always maintained close ties of friendship and cooperation. Maduro, accompanied by First Combatant Cilia Flores, affirmed that the present and the future are constructed with solidarity among peoples. Especially Cuba, with which Venezuela is united by centuries of brotherhood and admiration, he said, "Since Bolívar, Martí, since Maceo and then with the historic re-encounter of Chávez and Fidel, who ensured that the historic roads again crossed and designed a method for future times that has as its foundation solidarity, joint work." He likewise referred to the pending tasks of confronting climate change and the force of hurricanes, which demand a common response, in the short, medium, and long terms. He reaffirmed the commitment of the Bolivarian Alliance for the Peoples of Our America (Alba) to Puerto Rico, the Dominican Republic, Antigua and Barbuda, and Dominica, devastated by recent storms. The Cuban people should know, he said, that our solidarity is sincere. It is always available, forever, because your emergency, your pain, is our emergency and our pain, Maduro said. The Cuban press reported that according to Captain Delvis Salazar Lozano, the Bolivarian Armada's Los Llanos TANGO-64, delivered a cargo that included small motor generators, construction materials, lumber, electrical transformers, trucks, and other equipment and supplies. Captain Salazar added that it was an honor and source of pride for the ship's crew to deliver the donation. The solidarity and brotherhood shared by our peoples is something entrusted to us by Chávez and Maduro, he stated, something that will go down in history, an example for the Americas. Also attending the ceremony were Miguel Díaz-Canel Bermúdez, First Vice President of Cuba's Councils of State and Ministers and a Party Political Bureau member; Rodrigo Malmierca Díaz, Minister of Foreign Trade and Investment; as well Rogelio Polanco, Cuban ambassador in Venezuela, and other leaders. It is difficult to find the words to describe Gail Walker, an example of the pursuit of justice and fraternity, who has followed the tireless example of her father Lucius, a great friend of Cuba. 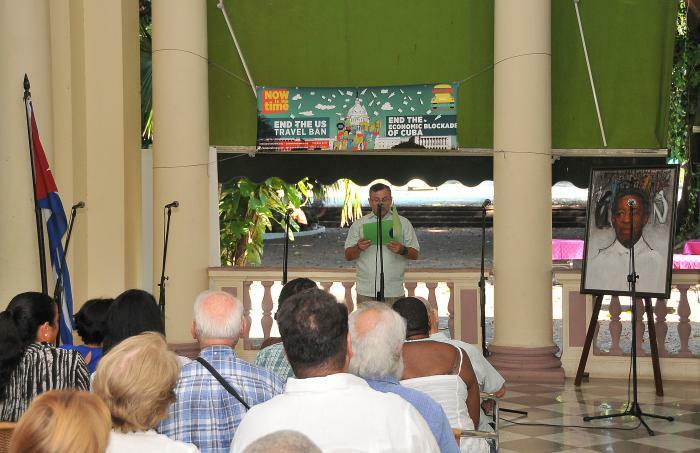 Recently, during a brief visit to Havana, the executive director of the Interreligious Foundation for Community Organization (IFCO), which organizes the annual Pastors for Peace Caravans, agreed to be interviewed by Granma International on the seventh anniversary of the death of Lucius Walker, and the 50th anniversary of this organization. Gail spoke of building bridges of solidarity across the 90 miles separating Cuba from the United States, which today are stronger than ever. What challenges have you faced since the inauguration of President Donald Trump? Every day is a challenge with Trump in the White House, not only due to the fact that we work in solidarity with Cuba, but given the actions that he is taking against women, Blacks and immigrants. It is a constant challenge for all those who fight for justice. It is more important now than ever to be able to sustain our struggle. What alternatives have you sought to continue building bridges between the two countries? We continue to ensure that people are aware that the blockade remains in place. Despite what was achieved during the Barack Obama administration, the blockade continues and we continue to organize these trips as a way to express our opposition. What prompted this visit in particular? This was a very short and difficult visit due to Hurricane Irma, but the purpose was to mark the anniversary of my father’s death, to celebrate the 50th anniversary of IFCO, and to pay a visit to the students of the Latin American School of Medicine (ELAM). How has Lucius Walker’s legacy of solidarity with Cuba been continued? 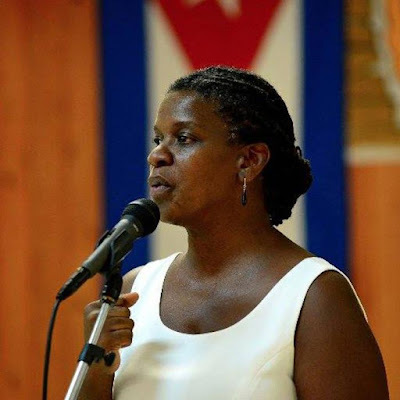 By continuing to organize the caravans and giving people the opportunity to come from the United States to see Cuba with their own eyes; continuing to educate the U.S. people about the Cuban reality; organizing opportunities to speak and digitally publishing letters every week related to Cuba and, of course, continuing to support the scholarship program offered by ELAM. How are the material resources you donate to our country collected? They are donations from people in a personal capacity, from churches or community organizations such as hospitals, schools, which work in solidarity with Cuba; they send the articles and we try to bring them here. We could not have done this work without the network of people we have who support us throughout the United States and in other countries like Mexico, Germany, Canada. In Europe too, for example in Belgium, there is a solidarity program with Cuba. It is an opportunity we have to sustain an exchange between the U.S. solidarity efforts and those underway in different parts of this continent. Have you been fined for your work? We have not been fined, we have simply had conflicts with the Treasury Department because of the work we do with Cuba. We continue the solidarity efforts because we know that they are of great importance. What inspires you to continue your work in spite of the difficulties? I have followed the example of my mom and dad. My mother was a community nurse who worked in the neighborhood. My father was Lucius Walker, who worked hard in the community in the United States and also in other countries, including of course Cuba. So, being born in the midst of that kind of energy helps make you stronger and motivate you to continue your work. A small example is when you look around and see so many young people who are going to become doctors and who could never have done so in the United States, and who are going to return to their poor communities, above all to Black communities. I am enriched just by having that experience form part of my life. Much of the citrus fruit blown down in Cubitas has been sent to processing plants or markets. CAMAGÜEY.— Throughout the vast geography of this Cuban province, especially in the agricultural sector, a categorical and exemplary concept is gaining momentum: beyond talking about Irma, its destruction and the losses everywhere, another hurricane is apace - that of the huge efforts underway to recover. This is the philosophy gaining ground across these plains, to shake off any lament, pessimism, or inaction, which can be as harmful, or more so, than the deadly ravages of the tropical cyclone itself, in its destructive autumnal “excursion” along the entire northern coast of Cuba. Such was the view expressed by Jorge Luis Tapia Fonseca, president of the Provincial Defense Council, who, although aware of the considerable damage to the agricultural sector, is certain that the province is capable of responding, and makes clear that none of its productive commitments have been altered. The strategy going ahead is well defined: after the huge blow of seeing months of efforts in the creation of new root vegetable crops lost, all human and material resources are now destined to the recovery and an urgent food production program. Each of Camagüey’s productive units is aware that accelerating (rather than getting held up with secondary matters) the collection of as many fruits and vegetables that remain and can be consumed, either by humans or livestock, is the immediate and crucial task. “This has to be done, especially in the case of plantains, with a lot of agility, as every second of delay in the rehabilitation work can be detrimental to the plantation,” warned Odelio Rojas Gómez, machete in hand, a worker at the Las Flores plantation, in Nuevitas. Carlos Hidalgo Rodríguez, president of the Niceto Pérez cooperative, located in the same area, agrees with this view. He has transmitted to his fellow members the need to be ready to work hard, taking advantage of the current soil moisture to prepare the land and restart the sowing tasks. Meanwhile, Hernando Gutiérrez Rodríguez, director of the Nuevitas Agricultural Enterprise, explained that to this end, the winter sowing plan has been readjusted, to grow a greater number of varieties over a greater number of hectares, staggering crops, and applying alternatives that will result in more food for the people. Clear that there will be no miracles, other than the fruits of their own efforts, Camagüey’s cattle ranchers are taking advantage of the increased water and improvement of pastures to ensure that the last four months of the year contribute to the planned milk campaign of 88 million liters of sales to the dairy industry. Pig farmers are not far behind, determined to recoup as soon as possible the damages in their specialized units, individual producers’ facilities, and in the province’s feed factory, in order to restart the breeding and raising of pigs and not jeopardize planned growth in meat production. Workers of the Camagüey Apicultural Unit likewise remain committed to producing 700 tons of honey, with the center and south of the province having committed to making up the production shortfall of the four municipalities in the north, as practically all coastal flowers were lost. “We will resolve this ourselves,” stated Yoandri Abad Escobar, director of the provincial Poultry Enterprise, referring to the work being carried out, with the support of two brigades of roofers from Santiago de Cuba and Guantánamo, to protect birds and gradually increase egg production. “Not a minute was wasted here: while all roofing sheets that flew off were collected and straightened for reuse, the women were responsible for ensuring food and water for the chickens,” added Santiago Sierra Pupo, administrator of the Antonio Suárez farm, in the municipality of Minas. With more than 314,000 layers, this territory is responsible for the distribution of eggs to the entire northern circuit of Camagüey. As such, in addition to repairs, the units are being cleaned to avoid any hygiene-epidemiological complications and reduce animal deaths. Waking up the day after the hurricane passed to see the ground covered with grapefruit and oranges they had grown with such care, in the lead up to the new harvest, still moves the workers of the Sola Agricultural and Citrus Enterprise, in Sierra de Cubitas. 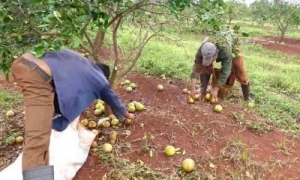 “This is the symbol of this municipality and, therefore, we must give our all so that it isn’t lost,” stated Raúl Bárcenas González, director of the entity, while closely following the collecting of grapefruit in the Cuba-Argentina Friendship basic unit of cooperative production. “A batch can be saved and is already being sent to the processing plants, or other market destinations, but a large volume was impossible to recover, because the fruit is either badly damaged or fell when still not ready for harvest,” explained José Antonio Ibáñez Soria, head of the Antonio Maceo comprehensive farm. Accustomed to overcoming adversity, citrus growers are also immersed in clearing the ground, fertilizing, and pruning, to rehabilitate old plantations and protect the 260 hectares of developing plants that will guarantee the permanence of citrus fruits in the red earth of Cubitas. “We have a lot of work to do, but the important thing is not to let ourselves be traumatized and to impose our will to succeed,” Bárcenas González stated, determined to maintain unchanged, with his feet firmly on the ground, the entity’s development program, in the best interests of the country. The President of the National Defense Council, Army General Raúl Castro Ruz, led a meeting with Party, state and government leaders on Wednesday, September 13, during which the damages caused by Hurricane Irma were evaluated, and the actions to be undertaken during the recovery phase outlined. Raúl recognized the hard work in each of the areas affected by the devastating meteorological event, which struck virtually the entire island. He noted that if any benefit can be obtained from this difficult situation, it is to immediately collect experiences to better prepare for future events of this nature. The President warned that the present hurricane season, which has been described as intense, extends until November 30, an evident product of climate change and to which we must adapt. The Army General called to continue working tirelessly to calmly resolve problems and to keep the people informed by all possible means on the situation facing the country. During the meeting it was highlighted that given Irma’s path across several provinces, authorities were forced to evacuate to 1,738,000 people, of them 86% were sheltered in the homes of neighbors and relatives. The head of the National Civil Defense General Staff, Major General Ramón Pardo Guerra, reported that more than 26,000 people remain in evacuation centers. As he noted, the National Office of Statistics and Information is working to assess the damages, and preliminary figures are expected to be released in the coming days. Alfredo López Valdés, minister of Energy and Mines, stated that the Antonio Guiteras thermoelectric power station in Matanzas had suffered the strongest and most difficult impact to be solved in this sector, as its sea water supply system, a key element in the cooling process, was destroyed by huge storm surges. 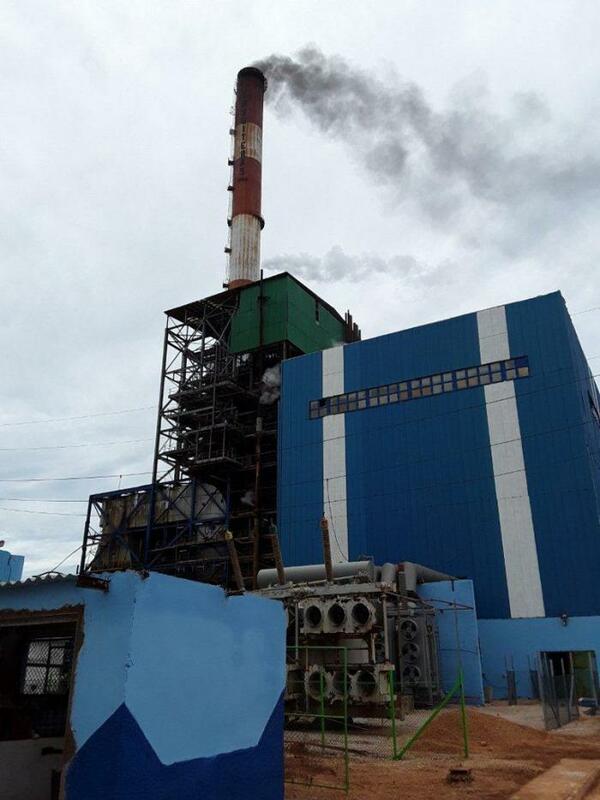 Highly specialized staff are working to compensate for damages and to ensure the plant is back in operation in the next few days. In addition, 15 transmission lines suffered damages, and more than 3,600 posts and 2,039 kilometers of power lines were affected. Work is ongoing day and night to restore service, the minister stressed, emphasizing that this was the first time the power system had ceased to operate throughout the entire country. Around 90 oil wells, located on the north coast of the western and central regions, were also damaged by the storm surges caused by the hurricane. 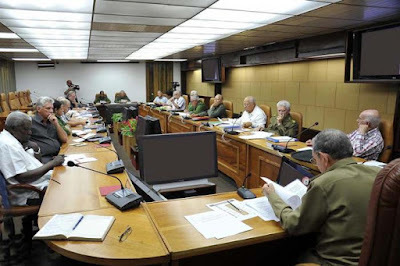 López Valdés praised the work of the mixed brigades which, on orders of the Army General, were created in the affected territories for debris clearing, tree pruning, and the transportation of utility poles. Finally, he explained that the major efforts to restore electricity are concentrated in the provinces of Villa Clara and Ciego de Ávila, territories with the most complex impacts. Meanwhile, the Ministry of Construction is participating in the recovery efforts with more than 20,400 construction workers and 855 engineering machines, devoted to debris collection, the repair of roads, bridges and drains, as well as the repair of housing and public buildings. Sector Minister René Mesa Villafaña noted that the major impacts of the hurricane were concentrated on housing, especially damage to roofing. Although the exact figures regarding the damage are not yet available, efforts are already underway to help those whose homes were destroyed, for which cement and roof tile factories are producing at full capacity. The Camagüey tile factory is also expected to begin operations in the coming days. Meanwhile, the most serious damages to agriculture were seen in the poultry sector, as dozens of egg production sheds lost their roofs. Julio A. García Pérez, first deputy minister of Agriculture, explained that the production of feed, plantain and corn crops, as well as fruit trees, have also been affected. Work is now intensifying in the reactivation of the varied crops campaign, for which, he said, seeds, fertilizers and pesticides are available. On this point, José Ramón Machado Ventura, a vice president of the Councils of State and Ministers, considered that, despite the damages, the agricultural sector is in better conditions than in previous situations to recover from Irma’s impact. Public Health Minister Roberto Morales Ojeda reported that the health system maintained services during the passage of the hurricane, and that to date there have been no outbreaks of communicable diseases in evacuation centers or any territory. Regarding Cuban collaborators working in the Caribbean countries hit by the cyclone, he noted that they are well and have joined the recovery efforts in these islands. Ojeda revealed that 516 health units were damaged, and work is underway to restore them in the shortest possible time. He added that the current priority is environmental sanitation and vector control, for which all necessary resources are available. Finally, regarding the effects on tourism, sector Minister Manuel Marrero Cruz explained that more than 51,000 vacationers were on the island when the hurricane hit, of these some 45,000 were located on the northern coast. About 10,000 tourists were evacuated from the Santa María, Coco and Guillermo keys. He noted that the damaged infrastructure is being repaired, to ensure it is ready for the upcoming high season beginning in the first half of November. On closing the meeting, President Raúl reiterated the need to deal with problems intelligently, taking into account the best experiences put into practice in the face of similar events, especially at the local level. In this regard, he mentioned the efforts deployed in Santiago de Cuba and Guantánamo, following the impact of hurricanes Sandy in 2012, and Matthew in 2016, respectively. This time the impact has been very strong and spread throughout most of the country, he said, but with the hard work that is being done, we’ll come through this once again. Pinar del Río.– Cueva de Los Portales, October 1962. In his command headquarters, Comandante Ernesto Guevara analyzed with various officers the composition of the enemy force threatening to attack the country. Lieutenant Luis González Pardo, head of the information section, read data on the 82nd Airborne Division of the United States Army, which would reportedly be responsible for the attacks. Recounting the anecdote is Oscar Valdés Buergo, then adjunct sergeant to the military chief of Pinar del Río, and therefore a man close to the Heroic Guerrilla on the occasions when he assumed command of the province, during the invasion of Playa Girón and the October Crisis (Cuban Missile Crisis). Supported by a folder full of notes, newspaper clippings, sketches and photographs, the veteran combatant of the clandestine struggle in Vueltabajo speaks with nostalgia of those “whirlwind days” in which he had the opportunity to work alongside Che. Now aged 80, Valdés remembers him clearly in his fatigues, a pistol at his waist, and his black beret with a star. “During Girón, the shot that escaped him and injured him in the face made his presence very brief, but during the October Crisis he stayed with us for several weeks, leading the province,” Oscar recalls. Among the anecdotes that speak for the legendary guerrilla’s personality, Oscar notes that since they never knew what time Che would return, it was proposed that they place a wood stove inside the cave, to keep food warm for of all those who worked late into the night, as the unit’s main kitchen was located at some distance. Regarding those tense days, in which the world was on the verge of a nuclear conflict, Oscar recalls that on one occasion Che arrived very annoyed, as a group of militia and soldiers who were digging trenches had asked him how long the exercise would last. “That same day he ordered the principal leaders to go and update them, man to man, regarding the situation of great danger in the country. “On October 26, after hearing the Comandante en Jefe say that any aircraft that violated our airspace would be shot down, he ordered the air defense to be reinforced. A radio antenna was also placed up there, in order to tune into foreign stations, and several compañeros who spoke other languages listened to them constantly, so that they could keep him informed. “Once, in a meeting, he asked the unit heads who listened to foreign radio stations. There was total silence, and only First Lieutenant Narciso Ceballos, head of the Guane division, raised his hand and said, “I do, Comandante, because they told me you did it. Although Che was a very strict man, Oscar says he spoke very softly and very politely. “During the time he was the chief political and military leader of Pinar del Río, he toured the entire province, including the Guanahacabibes peninsula, but above all the north coast, near the capital of the country. “In the cave, leaders of units and the principal entities of the province went to see him and to check in. The hustle and bustle was tremendous,” he recalls. However, Oscar explains that there was also free time during the evening, in which Che would go out and talk to people, read, play a game of chess or stop to watch others do so, and he would comment aloud when there was a bad move, to irritate them. The outcome of the October Crisis is known. Oscar states that after returning from a meeting in Havana, Che met with the political and military authorities of the province, and explained that behind Cuba’s back, the Soviet Union had reached an agreement with the United States to withdraw the nuclear missiles from the country, and he had very strong words to say regarding this solution. Today, 55 years later, Oscar notes that having had the opportunity to be close to the Heroic Guerrilla at a crucial moment in the history of the Revolution, was one of the most extraordinary experiences of his life. “I am honored by the confidence he had in me for this important mission,” he says. “Che was a man who always led by example, and he did not order us to do anything that he was not willing and able of doing himself. Trump announced on Tuesday he would be visiting the hurricane ravaged island next week, and touted his administration's response to the crisis. White House press secretary Sarah Huckabee Sanders announced on Thursday that Trump agreed to waive the Jones Act, temporarily lifting shipping restrictions on Puerto Rico and enable the hurricane-ravaged island to receive necessary aid. Trump sparked backlash at the rally by blasting NFL players who kneel during the national anthem, which dominated headlines over the weekend amid the federal response to Puerto Rico. Sanders pushed back on the report on Saturday, tweeting that the president has received daily updates from FEMA and his chief of staff John Kelly. The Trump administration’s secretary of Health and Human Services resigned Friday after revelations that he spent more than $1 million in taxpayer money in travel on private and military jets. Tom Price resigned as secretary of Health and Human Services Friday, amid a controversy over spending more than $1 million in taxpayer money on private and military jets. Price “offered his resignation earlier today and the president accepted,” the White House said in a terse statement sent late Friday afternoon. Don Wright, a deputy assistant secretary, will serve as acting secretary. Earlier in the day, President Trump had told reporters that Price was a “fine man” but that he’d make a decision by the end of the day on whether to keep Price in place. 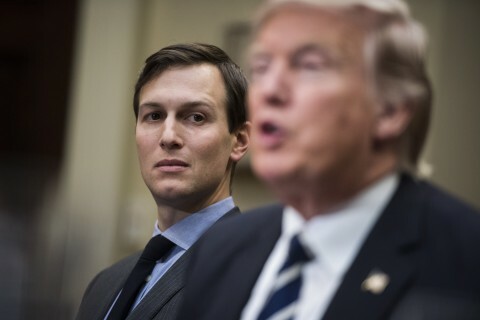 The resignation is in some ways strikingly typical—it’s the sort of workaday scandal that has felled many a government official—yet it comes from an administration that has redefined the type and scope of controversy, from a White House in unprecedented turmoil to the increasingly baroque and many-headed Russia investigation. Price’s departure caps a stormy and unusually short tenure. A physician from Georgia who previously served in Congress, Price was subject to withering attacks during his confirmation hearings from Democrats, who said that his trading of health-care stocks that were affected by his work in Congress was dubious at best and insider trading at worst. Once confirmed in February, he found himself in the midst of the frantic, shambling effort to repeal the Affordable Care Act. At a Boy Scout rally in West Virginia in July, Trump joked that he’d fire Price if Obamacare repeal failed. After several attempts, the law remains in place, but it was the taxpayer-funded travel that doomed Price. He said the costly flights he took were made in an official capacity, but various reports suggest that he was at the very least mixing his personal and professional travel—for example by taking a private jet to a Georgia resort where he owns land, and then speaking to a conference the following day. On Thursday, Price moved to soothe the roiling crisis by saying he would pay for the price of his seat on the planes. At first glance, that seemed like a major move to dampen the furor, but it quickly became clear that there was less to the announcement than it appeared. Price was paying only for his own seat—a not inconsiderable $52,000 or so, but well short of the more than $400,000 the flights had cost. His tab didn’t reckon with the cost of aides’ flights, nor the fact that the planes wouldn’t have taken off without him. 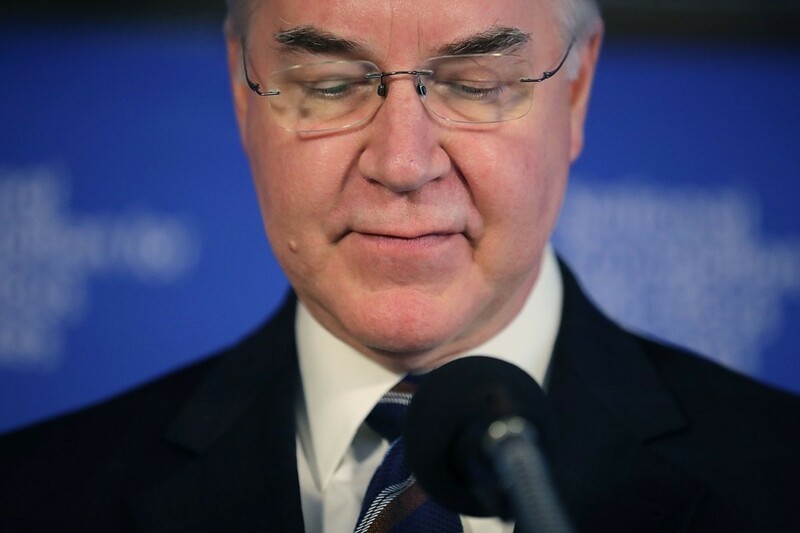 Price argued that Trump’s ambitious agenda required the flights—a somewhat ironic claim, given the failure of Obamacare repeal, the administration’s signature health initiative. Later, Politico, which broke the initial story and has delivered a series of damaging scoops about Price, delivered another big headline: The White House had approved Price’s use of military aircraft for trips to Asia and Europe over the summer. His wife Betty had flown with him, while other staffers flew commercial. That brought the total tab for Price’s travel to more than $1 million, at least of what is publicly known. Former President Barack Obama’s health secretaries both flew commercial while on the job. BuzzFeed also reported that Price had sought to reopen an executive dining room at the department that had been shuttered, which would have cost extra money. Pushing him out may set a dangerous precedent for other members of the Cabinet. The president was on to something. For a group of secretaries who espouse conservative principles and complain that government is too large and spends too much, Trump’s Cabinet has proven remarkably effective at spending taxpayer money. The failure of Obamacare repeal may have weakened Price heading into this scandal, but pushing him out may set a dangerous precedent for other members of the Cabinet. Scott Pruitt, the administrator of the Environmental Protection Agency, has sought steep cuts in its budget even as he racks up large bills. Pruitt spent more than $800,000 for an around-the-clock security detail in his first three months in office alone, nearly double the cost for his predecessor. This week, The Washington Post revealed that the EPA is spending $25,000 to construct a soundproof privacy booth for Pruitt, who has faced a slew of leaks as he battles unhappy employees at the agency. He has also accrued thousands of dollars in costs for private and military jet flights, including travel between Washington and his home state of Oklahoma. Secretary of the Interior Ryan Zinke is another frequent private flyer, including chartering a plane from an oil-and-gas company for a flight from Las Vegas to his home state of Montana for $12,000 this summer. Treasury Secretary Steven Mnuchin is under investigation for a flight in a government plane that included viewing the solar eclipse from Fort Knox, Kentucky. That flight became public when his wife, Louise Linton, posted an Instagram photo of herself alighting from the plane, and then sniped at a commenter. She later apologized. Mnuchin also requested the use of a government plane for his honeymoon, though Treasury later decided against it. Education Secretary Betsy DeVos, who is independently wealthy, has also used a private plane, but she has paid for it. Price is the latest departure from an administration that has seen an unusually high rate of turnover. Barely eight months into this presidency, Trump has already lost or fired a national-security adviser, a chief strategist, a chief of staff, two communications directors, a press secretary, an FBI director, a deputy chief of staff, and several other advisers. There are few clear dividing lines between Price’s flights and many of those by his colleagues Pruitt, Zinke, and Mnuchin, except that the known tab for his is higher. (New revelations are trickling out daily, so these numbers are in flux.) Yet Trump, who has been slow to staff positions in his administration, can hardly afford to lose Cabinet secretaries, given that there are so few other top jobs in departments filled. Between Obamacare repeal failure and the $1 million tab, it’s just that the timing for Price was wrong. 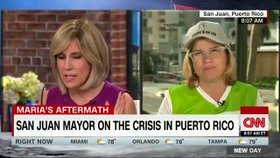 San Juan Mayor Carmen Yulín Cruz on Friday morning ripped into acting Homeland Security Secretary Elaine Duke for calling the government's response to the devastation in Puerto Rico a "good news story." After hearing Duke's comments, Cruz told CNN it was "irresponsible" to spin the island's devastation so positively. Cruz said that as the situation on the island continues to worsen, people are scrambling to find food, especially in rural areas where supplies are not able to reach as easily. Democratic lawmakers and others have ripped President Trump’s response to the damage from Hurricane Maria, calling it inadequate. Lawmakers on both sides of the aisle have urged the administration to up its relief efforts. The White House defended itself Thursday, blaming media coverage for giving the illusion that the response is slow. "I understand the coverage, in some cases, is giving the appearance that we aren't moving fast enough," White House homeland security adviser Tom Bossert told reporters. Puerto Rico Gov. Ricardo Rosselló praised Trump’s strategy, saying that the president is “doing everything on his end” to help the situation in Puerto Rico. On Thursday, Trump temporarily waived the Jones Act, suspending shipping restrictions that have hindered the transfer of supplies to the island. Trump said he will travel to Puerto Rico on Tuesday. 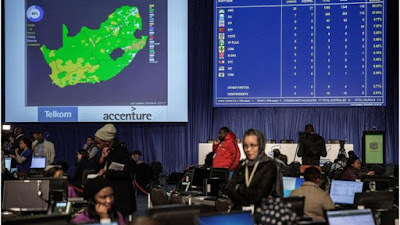 The African National Congress thanks the communities of Nkomazi Municipality, Mpumalanga, Dawid Kruiper Municipality, Northern Cape and Endumeni Municipality, KwaZulu-Natal for their support to the organization in the by-elections held in Ward 10, Ward 4 and Ward 3 in these municipalities respectively. The ANC registered an overwhelming victory in Ward 10, Nkomazi winning 86.14% of the vote. We further retained our majority in Ward 4, Dawid Kruiper Municipality. The ANC is particularly pleased and equally appreciates the support we received in Ward 03, Endumeni which saw the support of the Inkatha Freedom Party (IFP) reduced by 7%. This support received in these and other by-elections, the ANC does not take for granted. As we thank the electorate for their continued support and confidence in their movement, we urge the ANC leadership in those wards to work closely with the community to ensure timeous delivery against their aspirations. Dar es Salaam — Petra Diamonds Limited says it has received authorisation from the government to resume diamond exports and sales from the Williamson mine. The ban had been placed after a consignment of diamonds was impounded at the Julius Nyerere International Airport (JNIA) on August 31 on allegations of undervaluation. 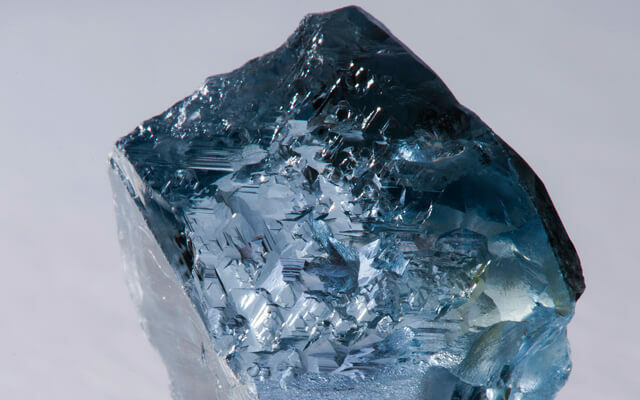 "The exact timing and process for the next diamond parcel export to Petra's marketing office in Antwerp and subsequent sale will now be finalised between Petra and the Tanzanian government," a statement released by Petra on Wednesday said. The government initially said it had confiscated the impounded consignment but later said the ministry of Energy and Minerals said further investigations were taking place to determine the circumstances of the undervaluation. Criminal proceedings were launched and two government officials have already been charged in court for occasioning a Sh3 billion loss to the government. A resolution has not yet been reached with regards to the parcel of 71,654.45 carats from Williamson that was blocked for export. The Company will provide an update on this as soon as practicable," Petra's statement reads in part. 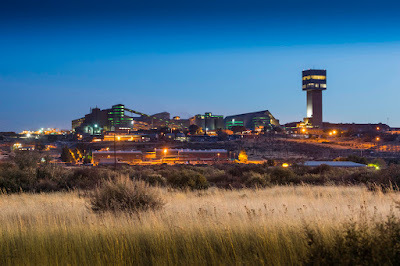 Petra Diamonds said on Thursday it had reached an agreement with South Africa’s National Union of Mineworkers (NUM) on pay at the company’s Finsch and Koffiefontein operations, ending a strike at the two mines. Employees would return to normal duties on Sept. 29, the company said in a statement. Petra added that no agreement had been reached at a third mine, the Kimberley Ekapa Mining joint Venture. Shares in Petra Diamonds ended up nearly 13% in London following the agreement and Wednesday’s news that it had been given the go-ahead by the Tanzanian government to resume diamond exports from the Williamson mine. The NUM said last week that its members would go on indefinite strike at the Koffiefontein mine from Sept. 24 in support of pay demands. 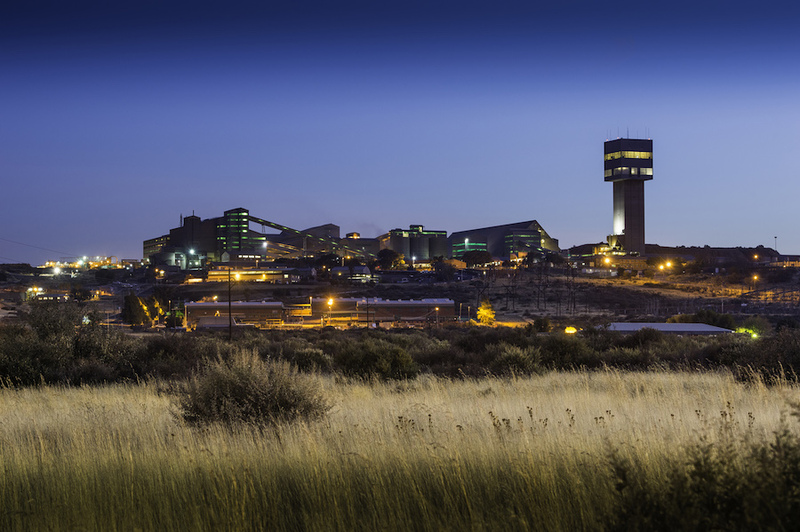 Earlier, more than 600 workers had gone on strike at the company’s Finsch and Kimberley Ekapa Mining joint venture operations over pay. The three-year wage agreement provides for an annual rise to NUM members of around 9 to 10% in the first year, and 8.5% for the remaining two years. The NUM’s demands at Koffiefontein had included a 10% wage rise and a monthly housing subsidiary of 1,500 rand for three years. Petra said that it did not expect the disruption to affect its full-year cost or production guidance. Shares in Petra Diamonds (LON:PDL) climbed more than 12% on Thursday after he company said it had reached a wage agreement with the main union at two of its mines in South Africa, adding that miners will return to work on Friday. Workers belonging to South Africa’s National Union of Mineworkers (NUM) downed tools at Petra’s Finsch mine and the Kimberley Ekapa joint venture last week. Underground and surface mining have been affected at both sites but its treatment plant is running “near normal” capacity, it added. The three-year wage agreement with the NUM sets annual increases to members in the region of 9% to 10% for year one and 8.5% for the second and third year. Lower level employees will get a 7.5% pay hike a year. NUM’s demands included a 10% salary increase across the board and a housing subsidy of 1,500 rands to be paid every month for three years. The union also wanted increases in medical aid, family leave, annual leave, equal pay and an increase in the employer’s contribution to the pension fund to 9%, from 7.5%. The three-year wage agreement with the NUM, said Petra, sets annual increases to members in the region of 9% to 10% for year one and 8.5% for the second and third year. However, given lower wage increases for other levels of employees, the overall paid increase will be 7.5% a year. The company also said there was no impact on its annual guidance for costs and production of 4.8 to 5 million carats for 2018. The stock climbed as much as 12.28% to 80p in late afternoon trading, closing at 78.75p and so extending this week’s gains triggered by the Tanzanian government’s authorization to resume diamond exports and sales from its Williamson mine. On Tuesday, shares had hit their lowest since late 2015. 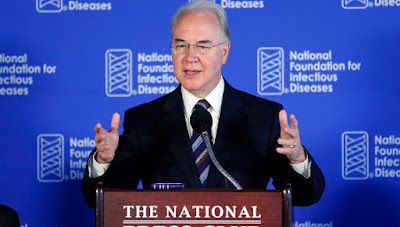 The White House authorized Health and Human Services Secretary Tom Price, who was accompanied by his wife, to use military aircraft during trips to Africa, Europe, and Asia this year, costing taxpayers more than $500,000, according to a report Thursday evening. As a result, taxpayers have had to foot a bill totaling over $1 million for Price's travels since May, Politico reported. An HHS spokeswoman said that Price reimbursed the agency for his wife's travel. Travel on military aircraft is generally granted only to the president, vice president, and Cabinet members who oversee national security issues, such as the secretary of defense and the secretary of state. Price has already promised to reimburse the government for his own seats on private jets for domestic trips, amounting to approximately $52,000 out of the $400,000 total tab. The cost for the military flights is not included in that amount. "I will take no more private charter flights as Secretary of HHS," he said in a statement Thursday hours before the latest Politico report. "No exceptions ... the taxpayers won't pay a dime for my seat on those planes." Price said he would work with the Office of the Inspector General, which is investigating Price's travel, along with those in his agency conducting an internal review. Price also acknowledged that Trump was not pleased with his use of private jets to journey around the country. The leaders of Iraqi Kurdistan may have miscalculated with this week’s independence referendum, creating unnecessary problems for the United States, the Iraqi government and themselves. But that’s all the more reason for America to work hard now to de-escalate tensions that could destabilize its Kurdish allies. 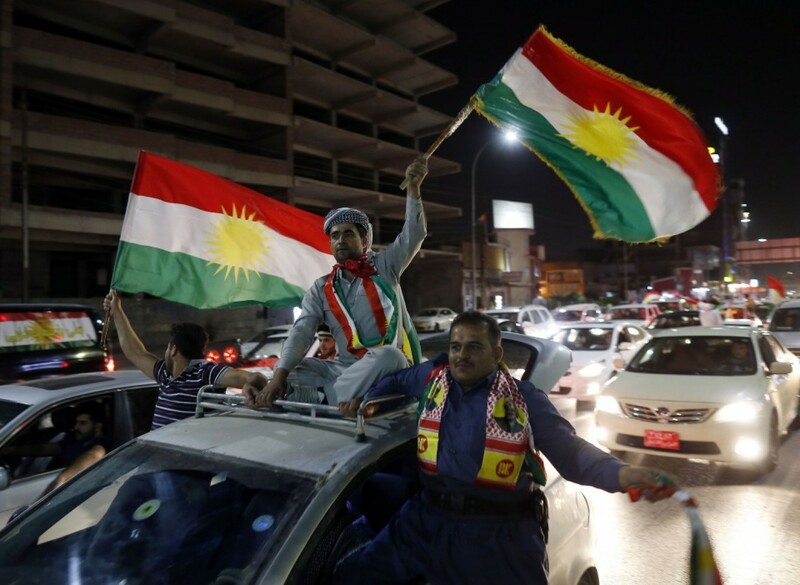 The Kurds say that 92.7 percent of those voting on Monday supported independence. But U.S. officials caution that turnout was low in some areas, especially among non-Kurdish minorities. Meanwhile, Turkey and Iran — fearful that the independence mood will spread among their own Kurdish minorities — have made threatening military moves along the Kurdish border; Iraq has warned it may halt international flights into Kurdistan. Top Kurdish officials say they need help now in calming the situation, and they’re right. Trump administration officials say they’re prepared to help manage the aftermath of the vote and encourage discussions with Baghdad. But this is a problem Washington should address sooner, rather than later, regardless of who is to blame. For Washington, the Kurdish referendum has been like watching a slow-motion car wreck. Months ago, administration officials began urging Masoud Barzani, president of the Kurdistan Regional Government, to postpone the balloting, which the United States feared would threaten Iraq’s fragile political balance and anger Kursdistan’s neighbors, Turkey and Iran. But Barzani felt the burden of more than a century of Western betrayal of Kurdish aspirations. He wanted the independence vote as a political legacy, even though his aides quietly assured the United States that any actual separation would be years away and negotiated with Baghdad. The Trump administration wasn’t swayed, despite broad support in Washington for the Kurds, who have been a steadfast partner even as other Iraqi groups have proven unreliable. U.S. officials felt that the referendum was ill-timed and harmful to U.S. interests in the region. That view was shared by the State Department, the Pentagon and the National Security Council staff, whose top officials are all longtime supporters of the Kurds. As a face-saving alternative for Barzani, the State Department is said to have crafted a “road map” for a three-year process of negotiation, sponsored by the United Nations, dealing with all the major disputes between Kurdistan and Baghdad, including the independence issue. But U.S. officials say the Kurds rejected this compromise and pushed ahead with the vote. However ill-timed the Kurdish referendum may have been, it was a decision by a friend, reflecting a history of suffering. The United States owes it to the Kurds to help broker their dialogue with Baghdad. The right place to start is an agreement safeguarding international air travel, Kurdistan’s connection with the world. ANKARA (Reuters) - Turkish President Tayyip Erdogan on Thursday called the Iraqi Kurdish independence referendum illegitimate and said Russia and Turkey agreed that the territorial integrity of Iraq and neighbouring Syria must be preserved. Erdogan spoke after face-to-face talks in Ankara with President Vladimir Putin. The Russian leader gave no opinion of the vote, saying Moscow’s position had been set out by the foreign ministry which said it respected the Kurds’ “national striving” but supported the sovereignty, unity and territorial integrity of Iraq. Both Turkey and Russia have strong commercial ties with the semi-autonomous Kurdish region of north Iraq but Turkey - with a large Kurdish population of its own - bitterly criticised Monday’s referendum, threatening economic sanctions and a military response. “The Kurdish referendum has no legitimacy in terms of the Iraqi constitution and international laws,” Erdogan said in his comments at the presidential palace. Turkey has been battling an insurgency in its mainly Kurdish southeast for more than three decades and fears the vote in northern Iraq could fuel separatism within its own borders. 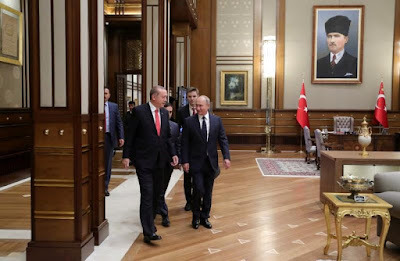 Both Erdogan and Putin said they would continue to work together to address the conflict in Syria, where they have supported opposing sides in the struggle between President Bashar al-Assad’s government and rebels who fought to overthrow him. “The de facto conditions for ending the fratricidal war in Syria, the final destruction of terrorists and Syrians’ return to a normal life have been created,” said Putin, whose support for Assad helped turn the tide of the six-year conflict in favour of the president. Putin said he and Erdogan confirmed their commitment to four “de-escalation zones” across Syria, including the northwestern province of Idlib, home to about 2 million people and largely controlled by former Nusra Front militants. Erdogan said last week that Turkish troops will deploy inside Idlib, which is on Turkey’s southern border, while Russia would maintain security outside the province. Warplanes conducted a tenth consecutive day of air strikes on the Idlib area on Thursday, targeting insurgent-held towns, the Syrian Observatory for Human Rights said. Opposition rescue workers said on Wednesday that Russian and Syrian jets had killed at least 150 civilians in the air raids. Russia says it is only attacking jihadists. Russian media, citing the defence ministry, said 37 Nusra members including five field commanders were killed in a rocket attack in Idlib. The presidents said they wanted to see progress in two major projects, the TurkStream gas pipeline from Russia to Turkey and the Akkuyu nuclear power plant being built in Turkey with Russian collaboration.